It seems like I finished this quilt a while ago. 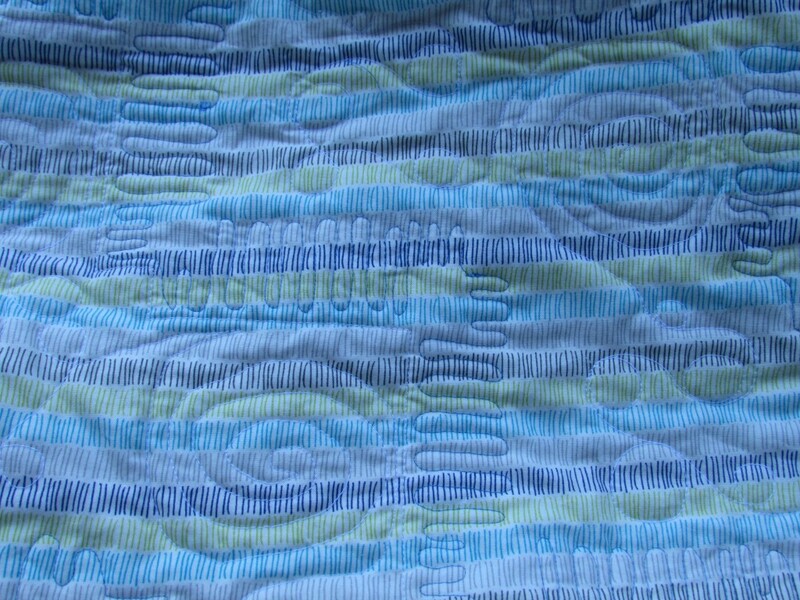 You might remember that I made this as part of a quiltalong with Jennifer from Inquiring Quilter. 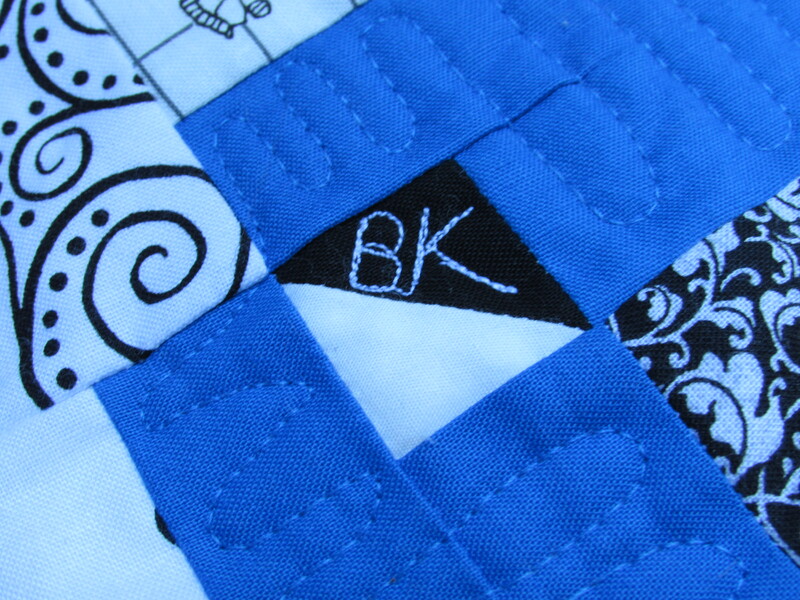 Probably two weeks ago I finished up the quilting and got the binding stitched about 75% of the way. Then it sat there. I was distracted by purses and other fun projects. Yesterday afternoon I was able to stitch that last bit of binding down while Julia rested that poor pinkie toe of hers and it is now complete. 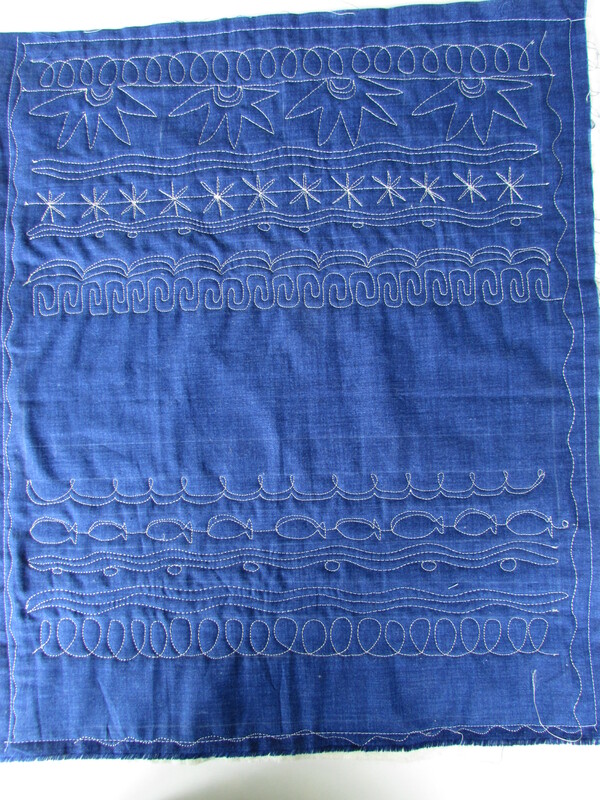 All of the quilting is curved (rather than angular) which complements the angular structure of the charm squares, borders, and HST’s. 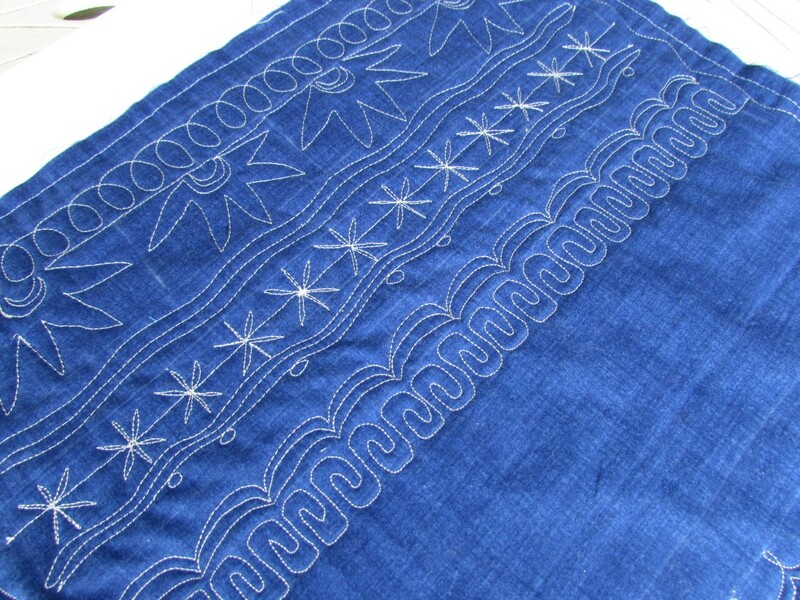 As far as my FMQ goes, this looks reasonable but is still not where I want to be. The only way to get there is to continue practicing, which is the plan! I look forward to washing this and letting it crinkle because that will hide some of the jitters in my stitching. Because I am lax in my use of quilt labels (meaning I label about 1 out of 12 projects) I stitched my initials on one of the HST’s. At least that will give someone a hint as to who made this. I also put the month and year in. This was kind of funny though. 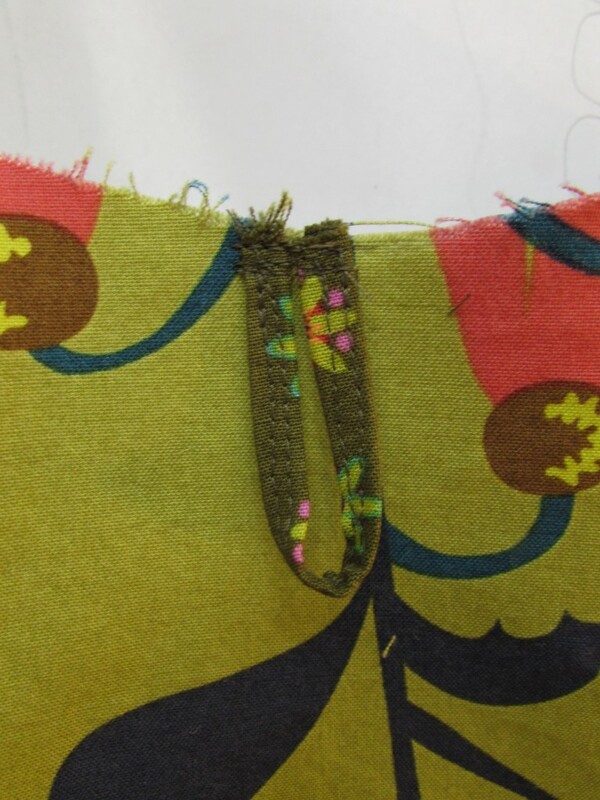 I was stitching the binding down and saw that I had left one bit of blue border empty so I took it over to the machine and quickly filled it in. I like it! 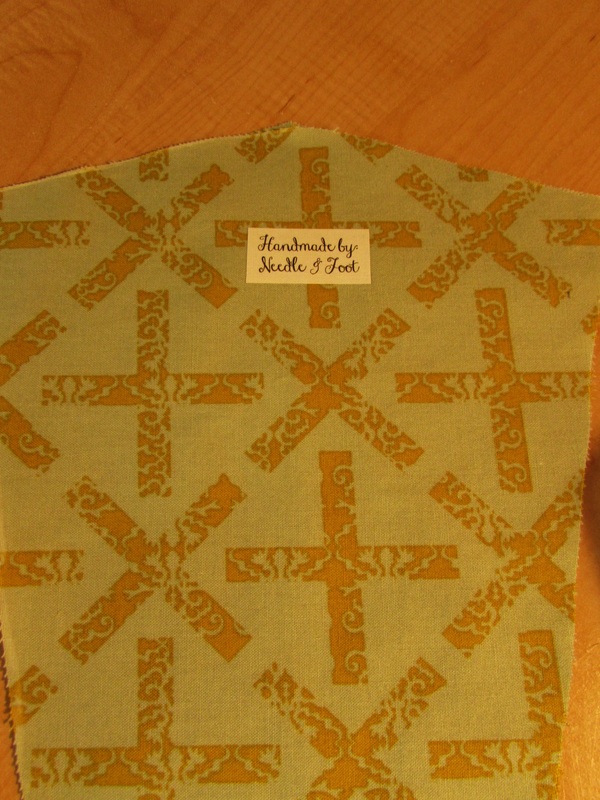 For the backing I chose a print from the Good Neighbors line designed by Amanda Jean Nyberg of Crazy Mom Quilts. I am very happy with this fabric as it has a nice feel to it and the price is right (as it is with most of the fabric over at Connecting Threads.) 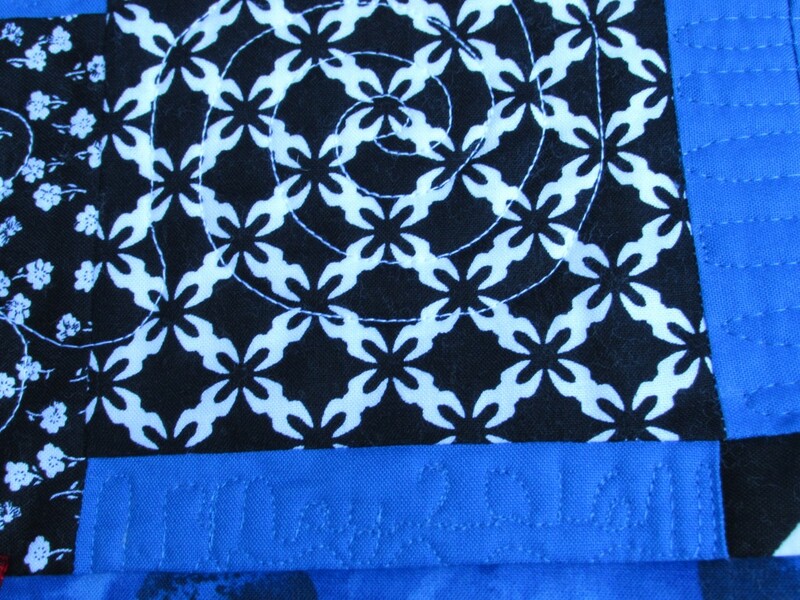 It has a bright bit of color to it and the pattern hides some of the FMQ wiggles too. 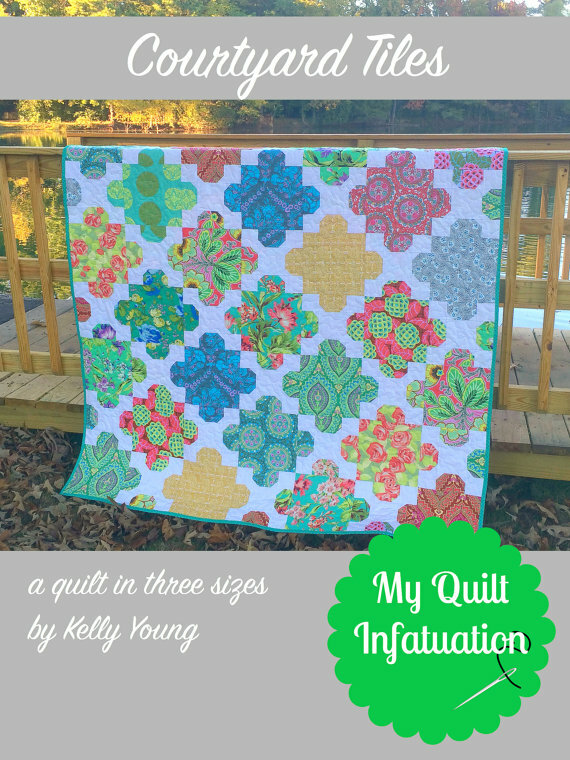 This was a fun experience, between the social aspects of the quiltalong, using these particular colors (which I have wanted to do for quite a while), and furthering my FMQ just a bit, it was very satisfying. Hopefully you are enjoying your projects too. 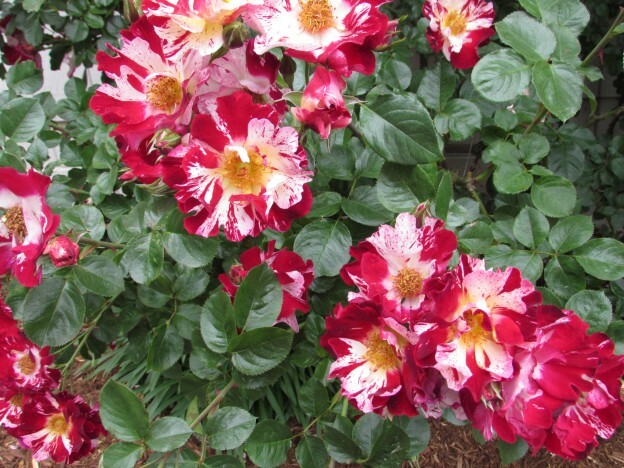 If you are in the US, have a great Memorial weekend. 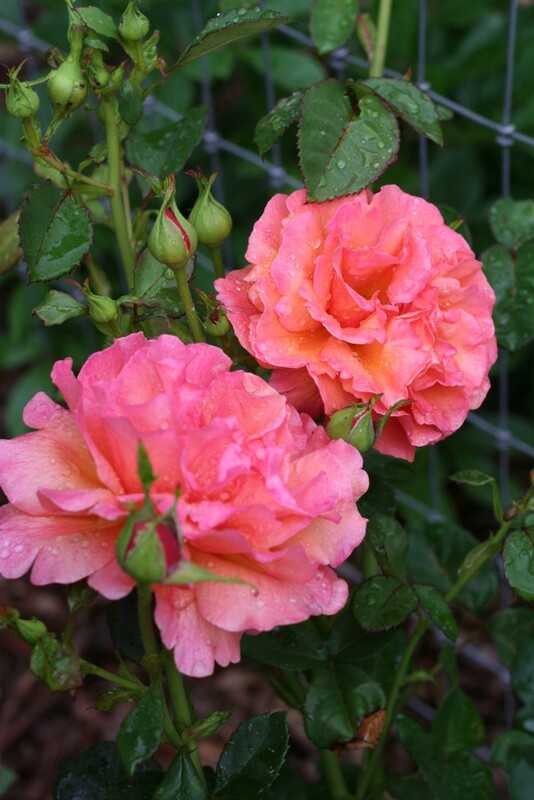 We are supposed to have some hot weather over the next couple of days – here comes summer! Linking to my usuals! Check them out at the top of the page, under Link Ups. This entry was posted in Free Motion Quilting, Pieced Quilts and tagged charm squares, HST, Stepping Stones QAL on May 27, 2016 by Bernie. This morning I was feeling highly productive. Before 9:00 am I had taken photos of this great 241 totebag (with the help of my totebag model) and written this post for you. 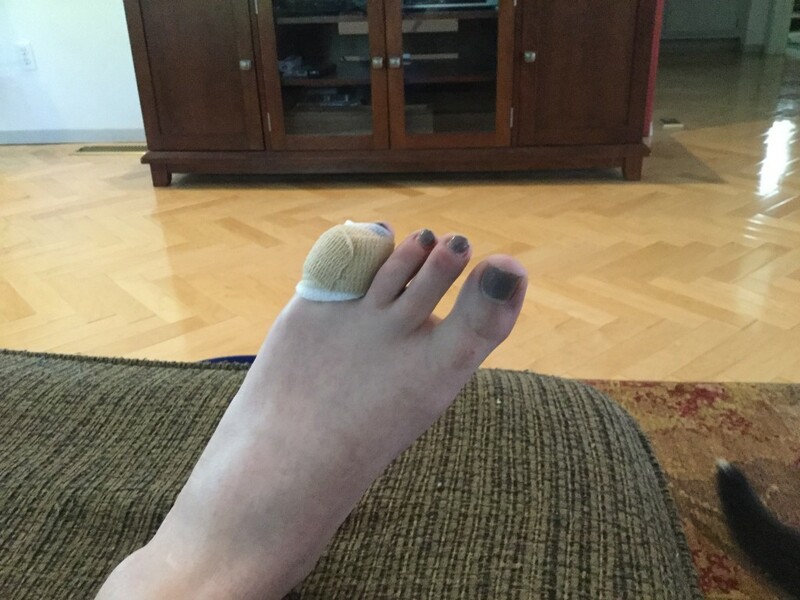 In the middle of reviewing the post, checking for typos, etc, Julia walked up to me and said, “I stubbed my toe”. I looked down and saw this horrific baby toe that was bleeding far more than I was comfortable with. I got a (clean) kitchen dishrag and did some high-quality first aid. Once we had the first aid under wraps (ha ha ha! ), I scurried around collecting a ton of fruits and veggies that I was supposed to plate and serve to the senior class at 12:30 today, while they were taking turns presenting their senior projects. (I had a deep suspicion that I wouldn’t be there to serve them). Once the food was in a cooler and one shoe on Julia’s good foot, we got her in the car and headed to urgent care. They were great. Got her right in (probably out of concern for the gross looking dishrag her foot was wrapped in. 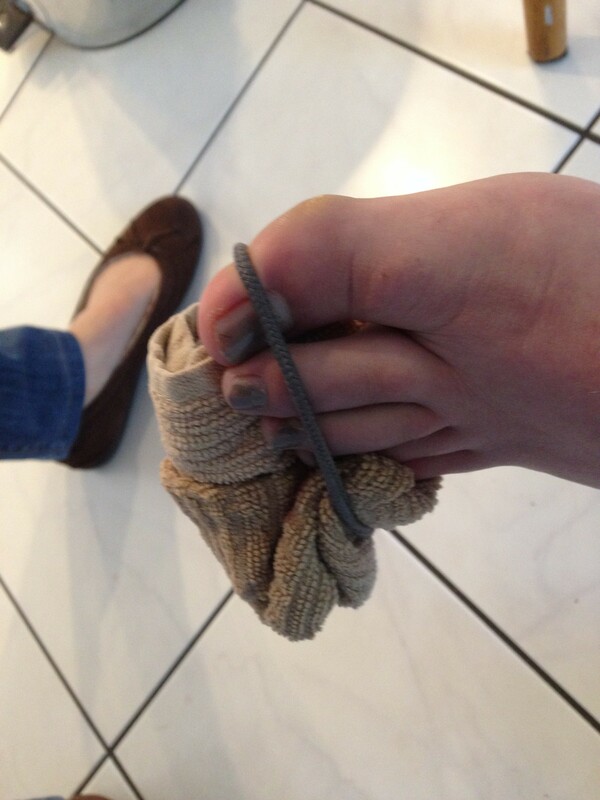 When the nurse took it off to clean her toe, he looks at me and says, “uhh, do you want this back? 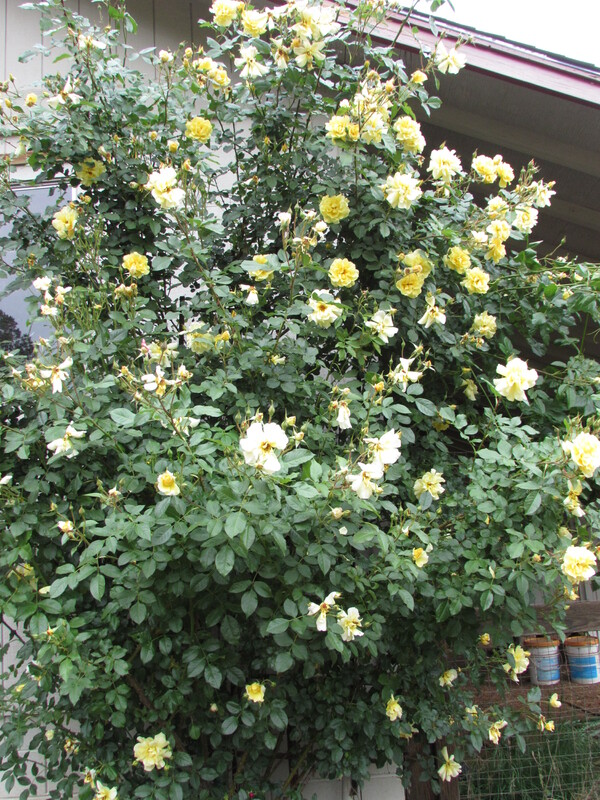 ?” I declined it.) A couple of hours and three stitches later, we are back home and she is on the couch (where she spent Saturday, Sunday and Monday for illness) doing homework. Poor thing is spending quite a bit of time on the couch and missing a whole lot of school this week. It really hasn’t been a great couple of days for this girl! And now that this is all taken care of, we can talk about my second 241 totebag!! Let me tell you, the second time using a pattern is so much easier than the first! I made another 241 totebag this week and it came together incredibly quickly. I had the process down from the first time I made the bag. (You can check the first one out here.) 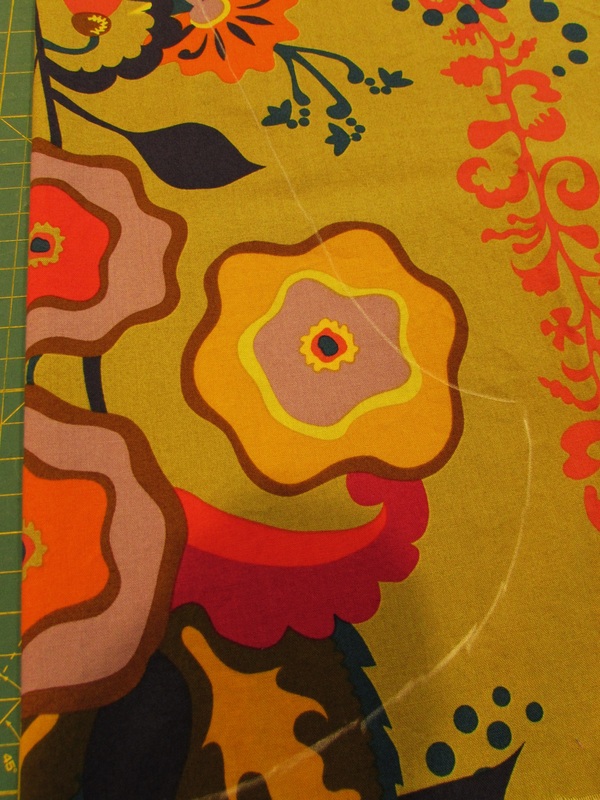 This one is a keeper – a little selfish sewing for me! 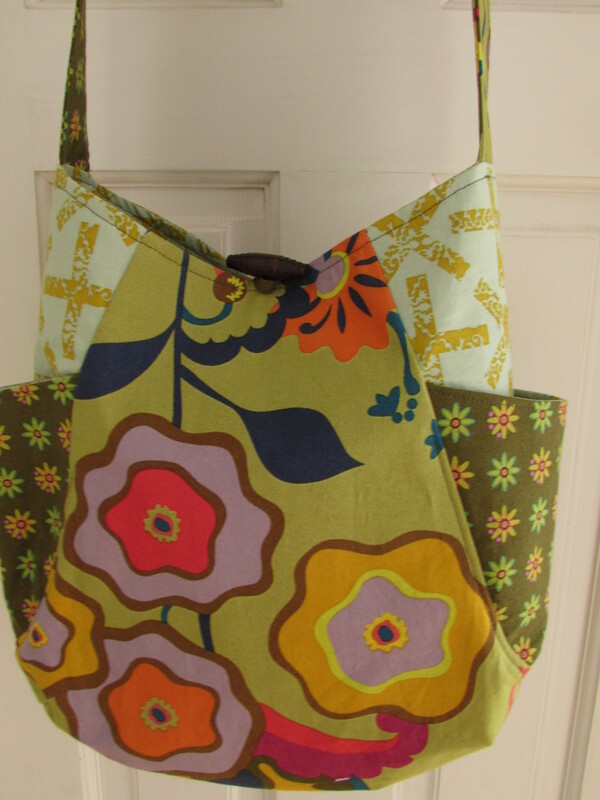 For this bag, I used more of my Allison Glass Field Day collection (the daisy print) and I had a big piece of Kaffe Fassett shot cotton (the solid rust piece). They look great together. I was bold enough to put in a zipper pocket for this bag. 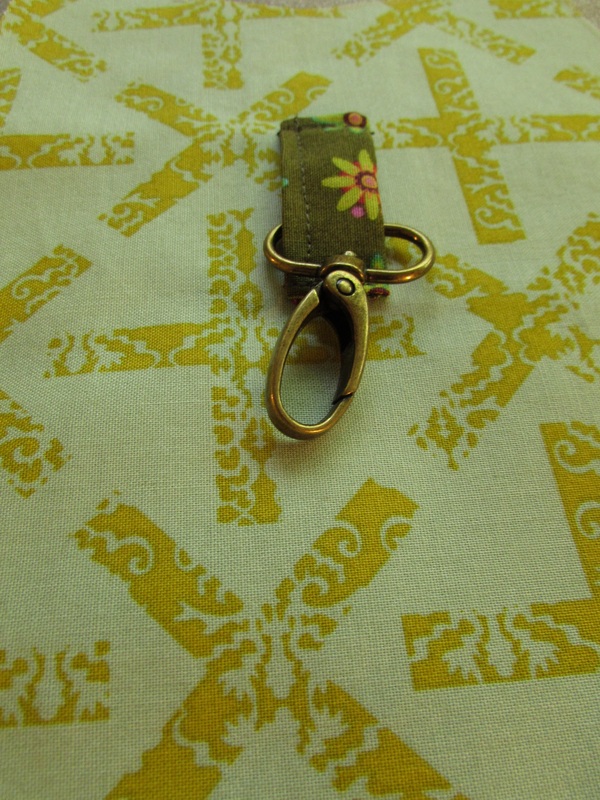 I had a seven inch zipper in my collection of thrifted zippers ( I love finding these in thrift stores and can usually get zippers for 25-50 cents each.) 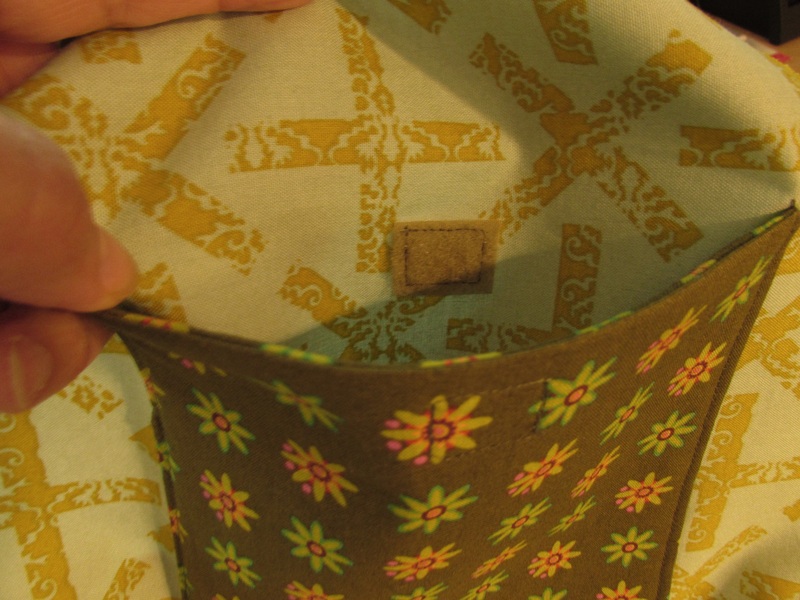 The pattern calls for two zip pockets with them both installed on angles, vertically. I decided I only wanted to tackle one zipper and put it in horizontally. 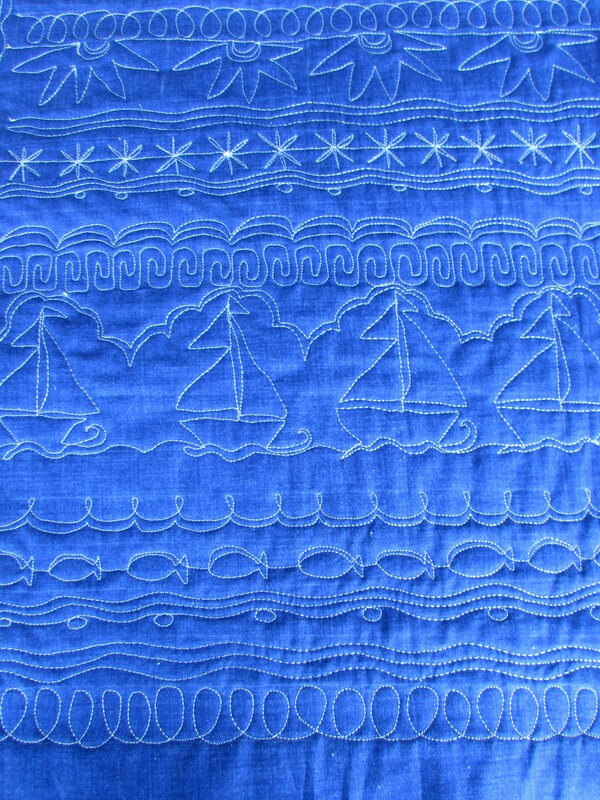 It wasn’t hard to put in this pocket though I am not completely satisfied with the corners – it was difficult to get them to lay flat enough. This is most likely because I didn’t clip the corners close enough. It’s hard to decide how close to clip toward the stitching. As before, I put in a clip to hold my keys and a slip pocket with velcro closure on the inside of the bag. I had two scraps of Allison Glass that worked for the lining of the exterior pockets and even though no one will see it, it makes me happy! 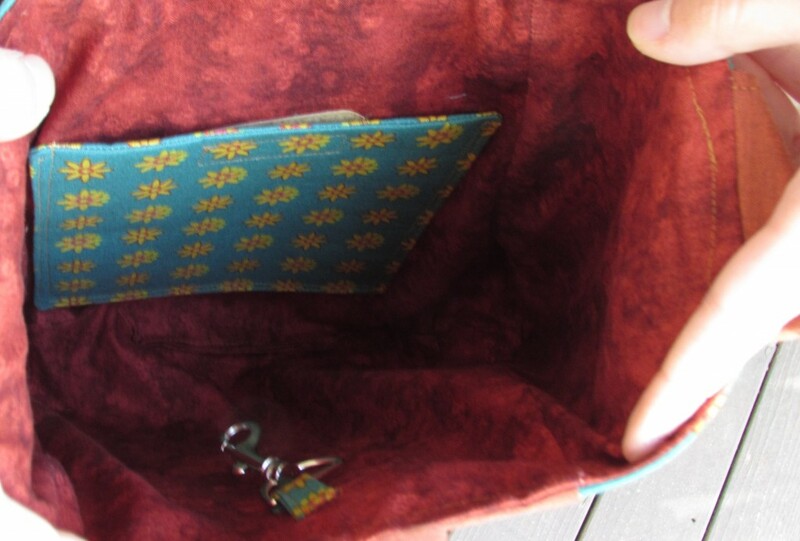 Love it when the small scraps are usable and it adds a bit of interest to the purse. I have a bit of a purse addiction and this is going to be a perfect addition to my collection! 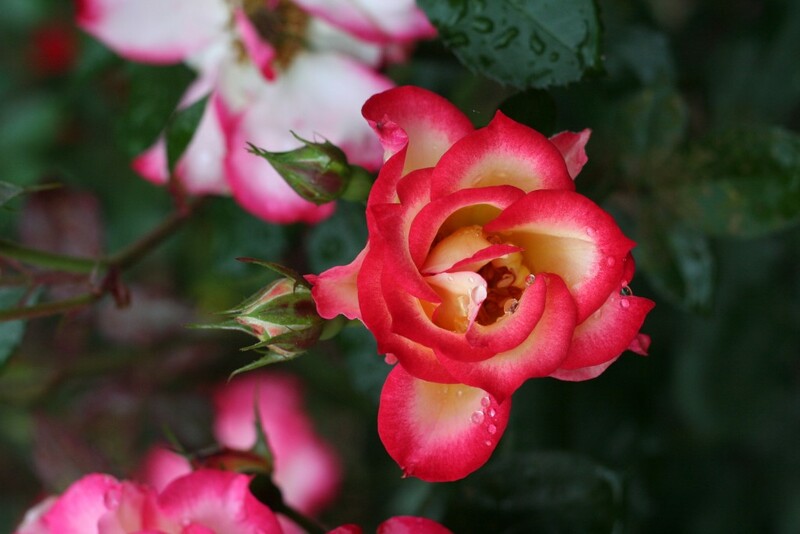 Linking to the usuals which can be found at the top of the page, under Link Ups. 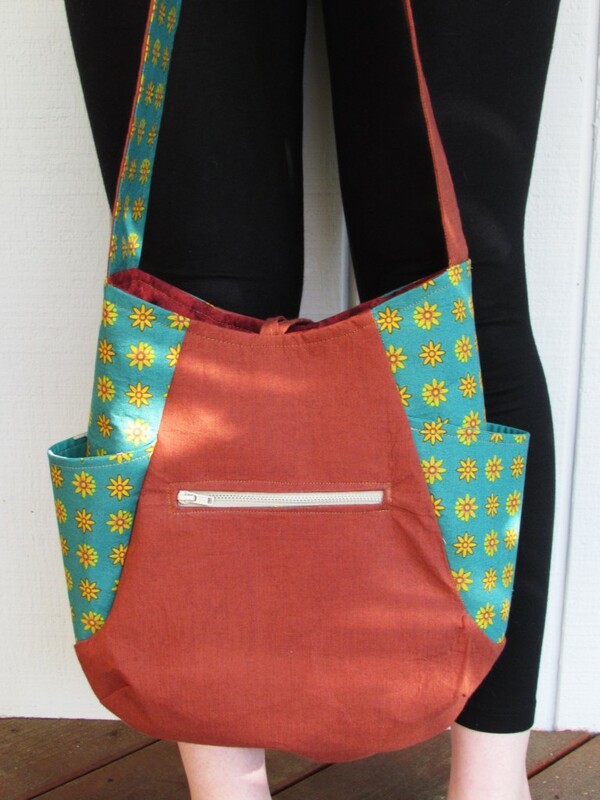 If you are looking for classes or patterns to get you going on making a tote bag, check out Craftsy. Loads of classes and patterns to learn from! This entry was posted in Family, Tote Bags & Purses and tagged 241 tote, allison glass field day, selfish sewing on May 25, 2016 by Bernie. We had one of those weekends where things didn’t go as planned. Julia had invited several girl’s for a sleepover on Saturday night to celebrate her 15th birthday. Friday afternoon she started looking a little peaked and by Friday night she was feeling lousy. Saturday morning she cancelled the sleepover and parked herself on the couch, where she has spent the vast majority of the weekend. Poor girl – feverish, headache and all congested. No fun. So, instead of celebrating her birthday, I snuck out to get her some dvd’s and run a few errands. I passed a thrift store that supports our local Hospice organization and saw that they had a bunch of office/desk chairs out front. I have been sitting on an older chair that is fairly uncomfortable. I ran in and bought one of their chairs – very comfy and it doesn’t have any arms so it can hug up close to the machine. Yay! While there, I had to at least take a quick peek at their little craft area. Sometime there is fabric there, sometimes not. 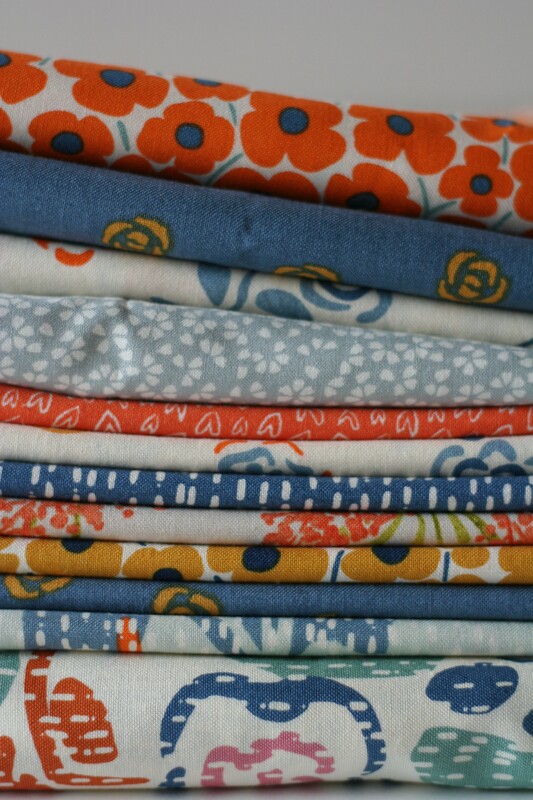 I happy to see a few bundles of fat quarters on the shelf which I promptly purchased, brought home, washed, dried and ironed them. I was on a roll! 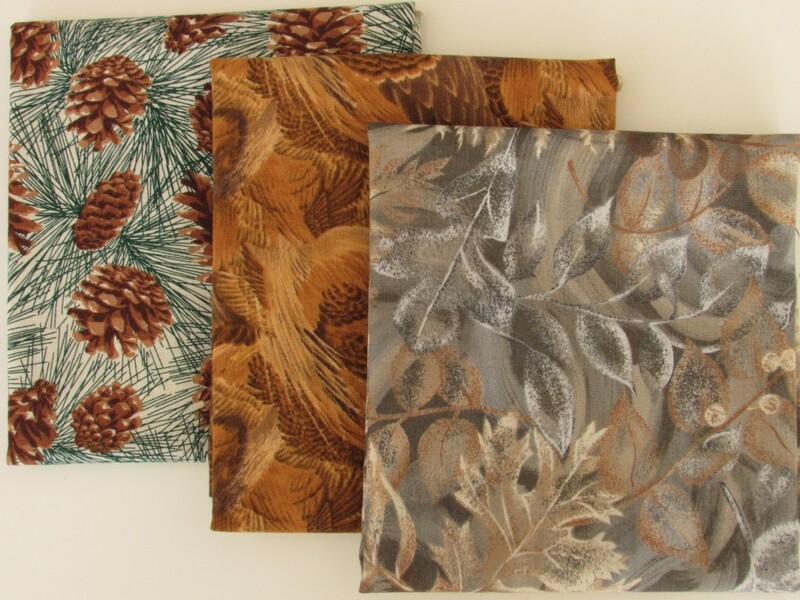 Love these autumnal prints. Especially the gray/rust piece at the far right. 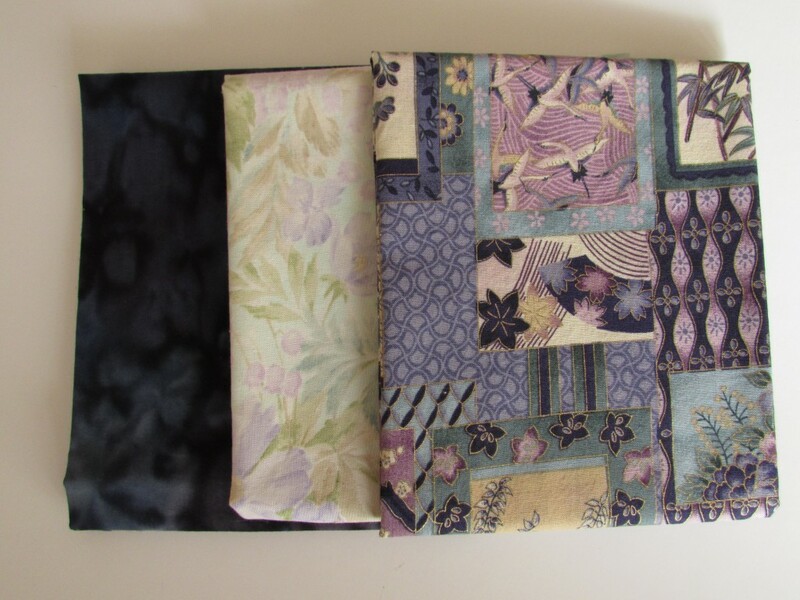 The black batik and the Asian looking print on the far right are great – the piece in the middle is only so-so. These two are nice additions as well. 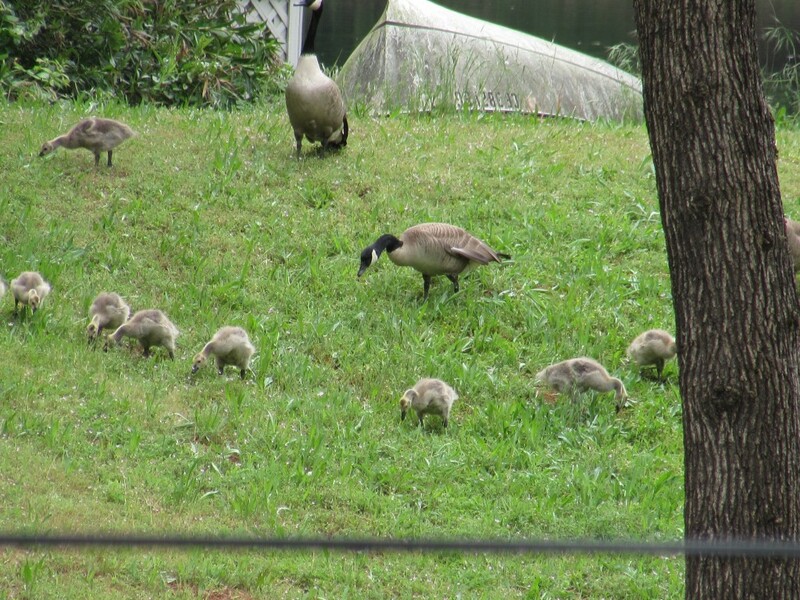 Black is always quickly used and I love the geese on the right. Eight fat quarters for about 50 cents each. Score. I also want to share my May is for Makers pattern for this week. It has been years since I have made a dress but the time has come. I chose the Washi pattern. You may have seen this floating around for a bit. 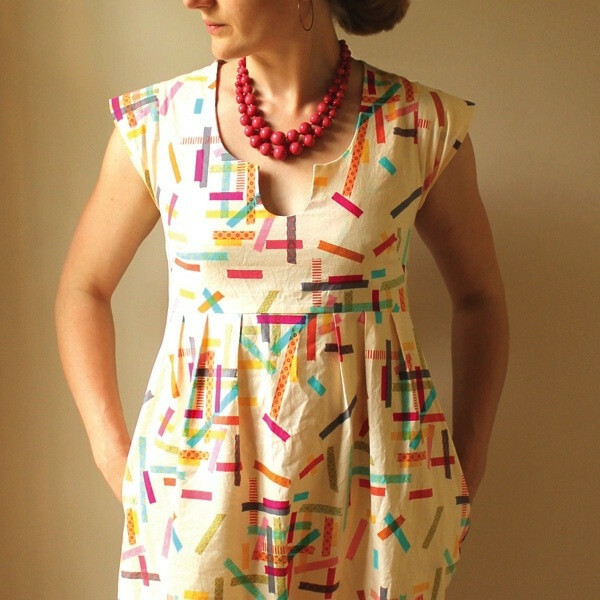 The Washi dress was designed by Rae who blogs at Made by Rae. I love the neckline and the side pockets on the dress and the fact that the back is shirred with elastic thread. It looks like it will be very comfy which is what I am all about. My list of projects is growing really fast so I’d better get busy! Ok, get ready, get set, go! What is your list looking like these days? Check out “Link Ups” at the top of the page to see my favorite places to link to. This entry was posted in Stash, Thrifting and tagged stash update, thrifting fabric, washi dress on May 22, 2016 by Bernie. Last weekend I finished up the 241 bag that I have been working on. The bag was made as a gift to my niece for her eighteenth birthday. Somehow I forgot to get a photo of Maddie with the bag at the party last week. She loved it though which made me very happy! Making this bag in tandem with Tami from Sew Much for Free Time was really fun. Neither of us has seen the final project for the other yet and I look forward to popping over to her site to see her bag. I hope you will take a peek as well. As is usual for Noodlehead patterns, this one was easy to follow and the result is exactly what I had hoped for. 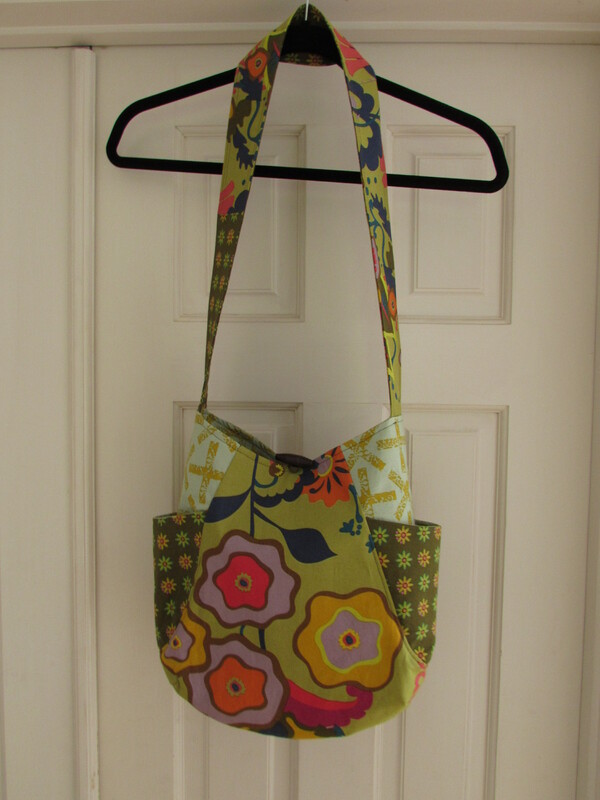 This is the second bag I made using a tutorial or pattern of Anna Graham’s. The first was a tote for my mother-in-law. You can read about that here. 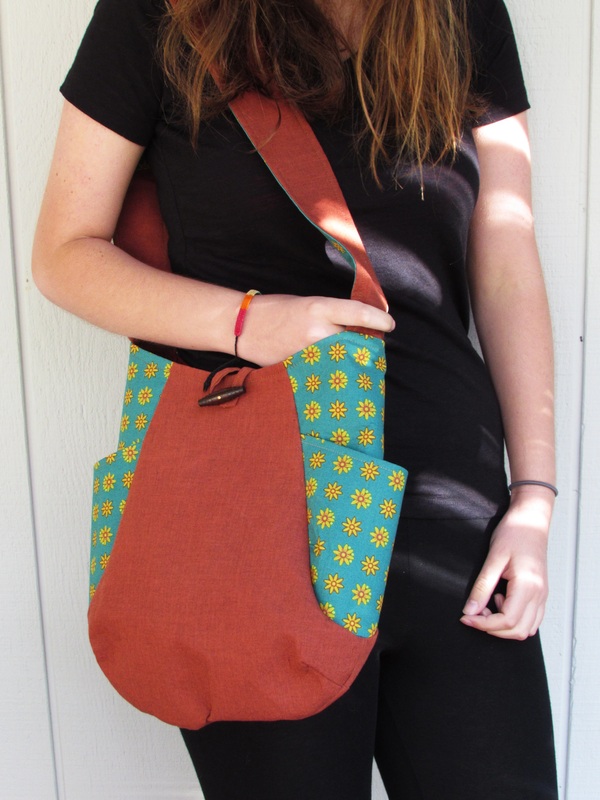 Anna’s patterns are filled with small details that make for a stylish bag. 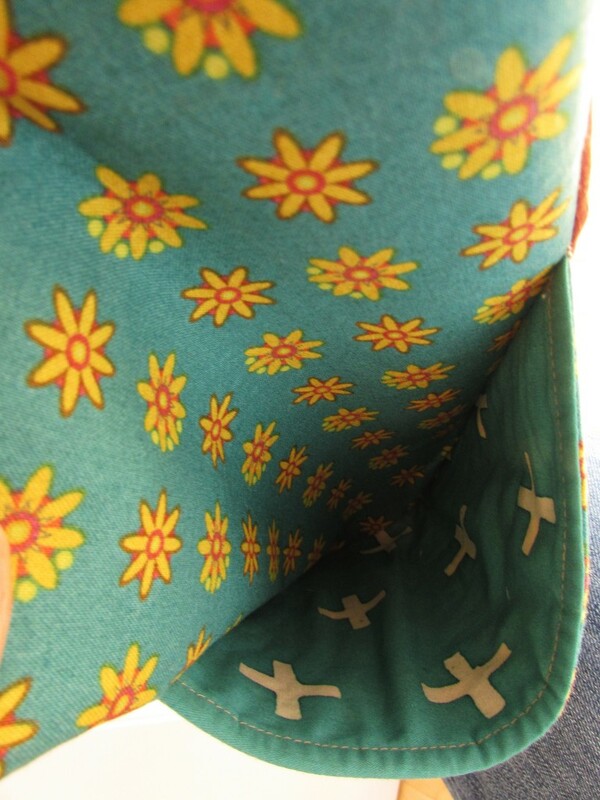 For instance, I love that the side pockets have a fullness to them. They are fused with interfacing and cut so that they extend a bit from the side of the bag, making them really roomy. The pattern calls for a magnetic closure but I didn’t have one. Fearing I would (yet again) lose my self-control if I returned to Ben Franklin, I searched through my buttons and found a cute wooden toggle button. 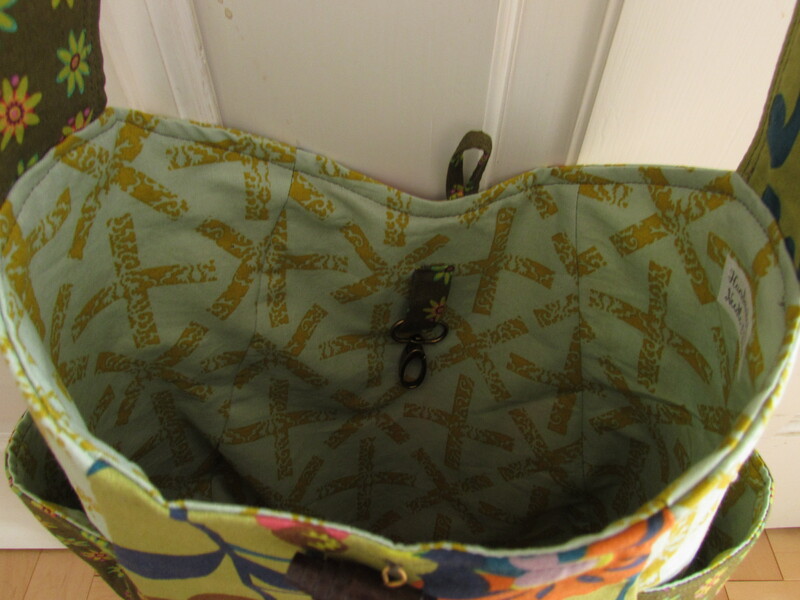 Using a small rectangle of the contrast fabric, I made a loop and stitched it to the top of the bag. As luck would have it, since I certainly didn’t try for this, the outer seam on the bottom matched up almost perfectly. I love when this happens! If I actually try to match it up, I usually meet with less success. At any rate, this bag was a huge success. I highly recommend the pattern for anyone with at least some sewing knowledge. It could be a bit of a challenge for a person who is new to sewing. I hope Tami and I will think of another project to sew together. We had a lot of fun with this one! Linking to all the usuals. Find them at the top of the page under Link Ups. 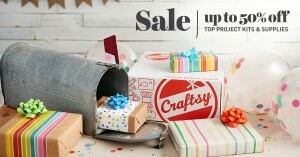 Craftsy’s birthday celebration continues through Sunday, May 22nd. Classes are on sale for 50% off! Buying a class enables you to watch each lesson as many times as you like, when it is convenient for you! 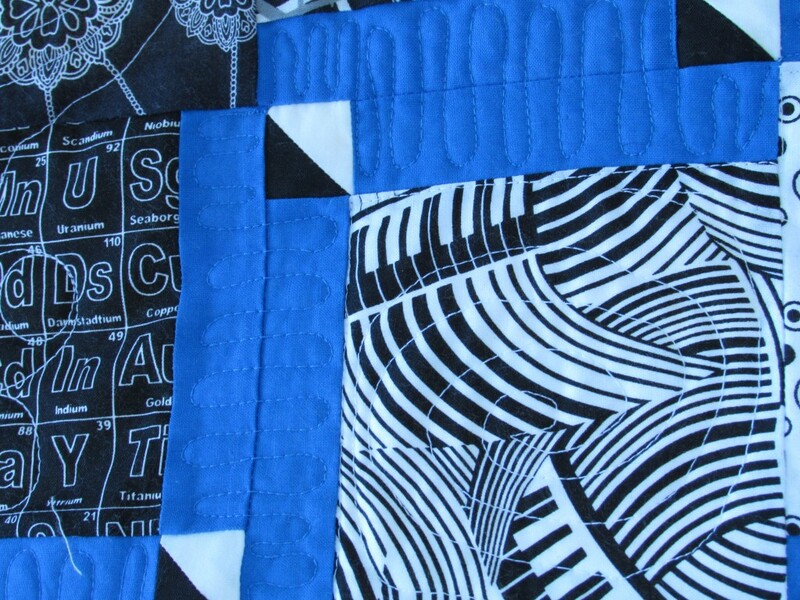 The newest class taught by Amy Smart, of Diary of a Quilter, is released and on sale. 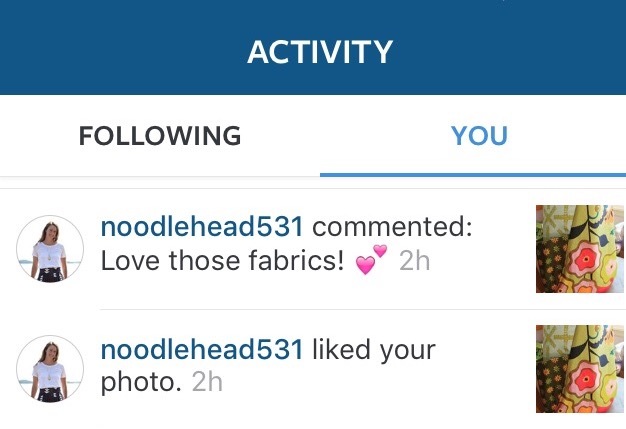 This entry was posted in Sewing Projects, Tote Bags & Purses and tagged 241 tote, allison glass field day, noodlehead, tote bag sewing on May 20, 2016 by Bernie. The days that I was able to spend time sewing were mostly productive. 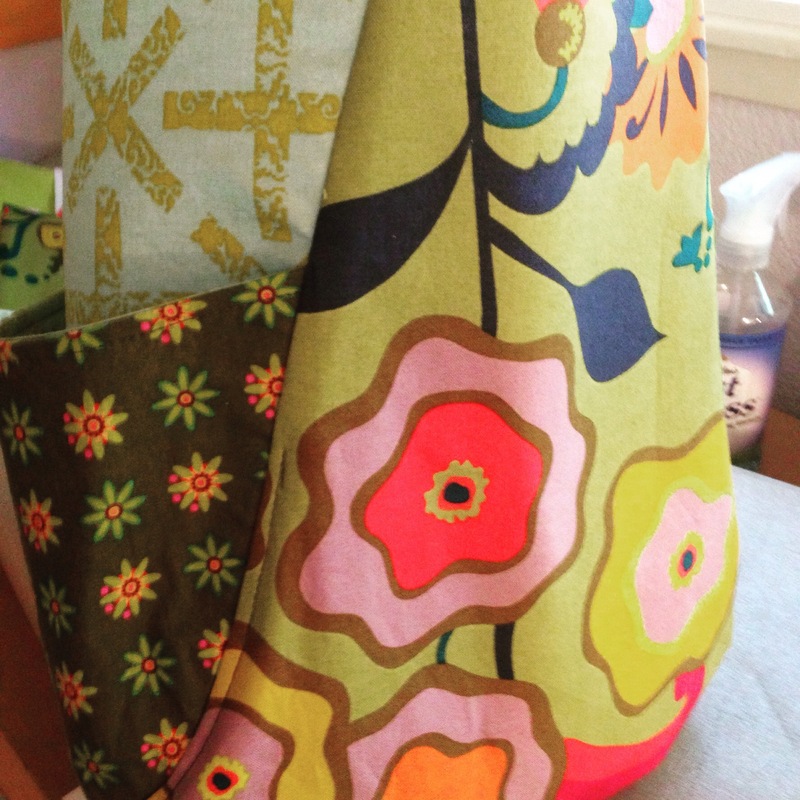 I made a few new French Press cozies for my Etsy shop. 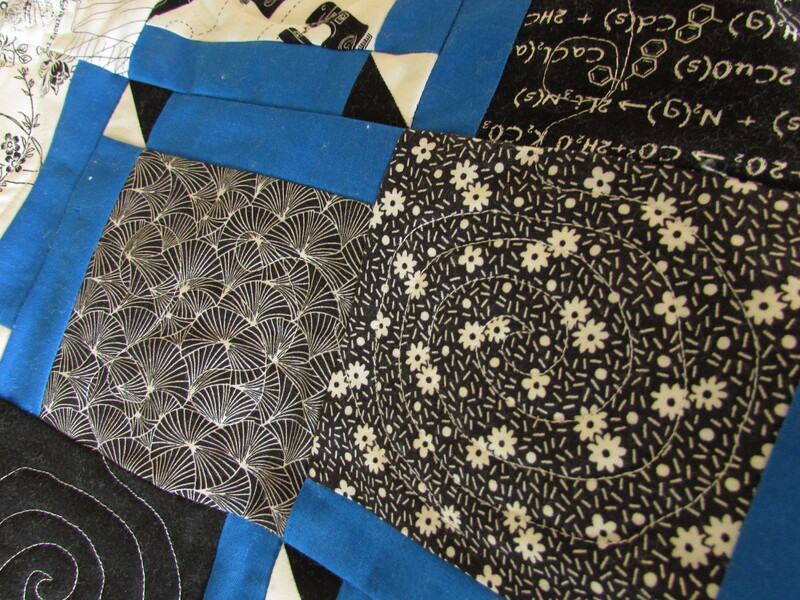 Beyond that, I started quilting my black and white Stepping Stones quilt. 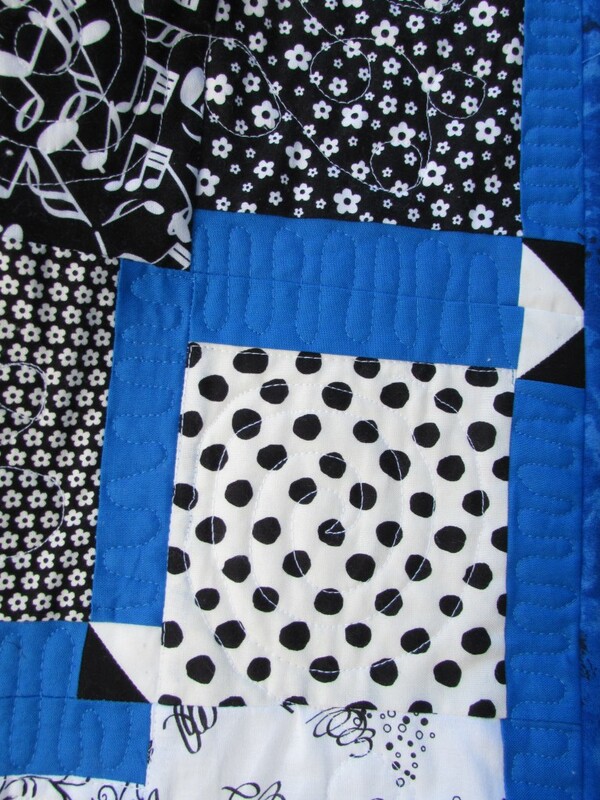 So far, I am quilting along the diagonal, following the black and white squares. I have not touched the tiny HST’s or the blue strips. My thought is to finish the black and white charms and then decide what, if anything, to do with the other smaller parts. I am using white thread and the quilting is coming along nicely. However, the white stitching doesn’t show up well for pictures. 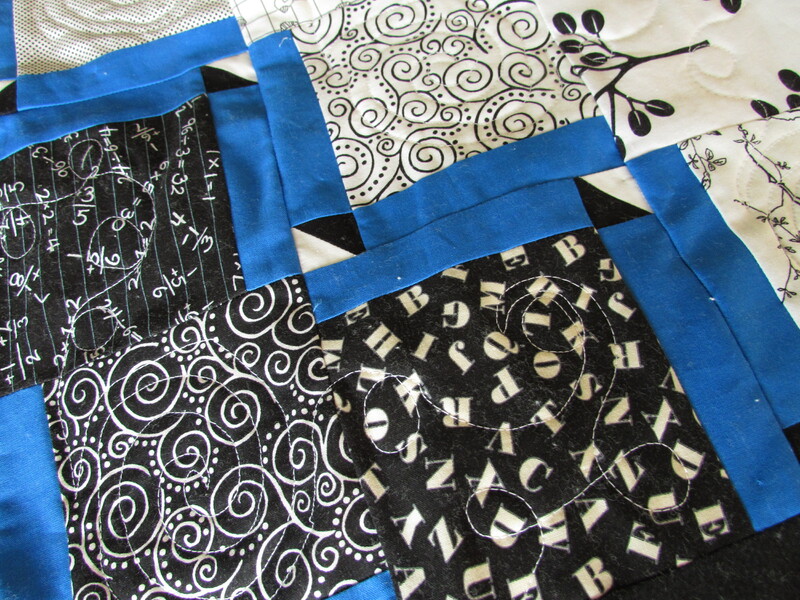 I have been alternating quilting a large spiral and then in the next square quilting a loopy design. I have quilted about 1/3 so far. Other projects beckoned though and I set this aside for a few days. I have been having a blast working on my sewalong with Tami of Sew Much for Free Time. Every time I make another friend via this blog, I am just blown away by the ease of the relationship. By now we have been emailing back and forth with progress pictures and ideas. It is so much fun. Our 241 Totebags are swiftly moving toward completion! Working with a friend has kept both of us on track and has somehow made the project seem to come together quickly. This is my second project using a Noodlehead pattern or tutorial and the directions are just wonderful. So far, I have constructed the entire outer bag and have been working on prepping the inside portion. 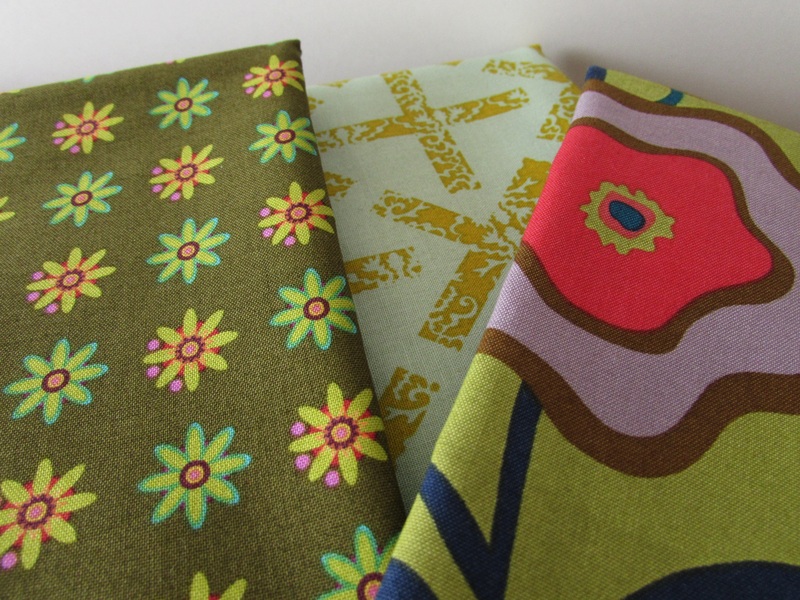 These prints are bright, fun and maybe a little wild but I think they are perfect for the intended recipient. 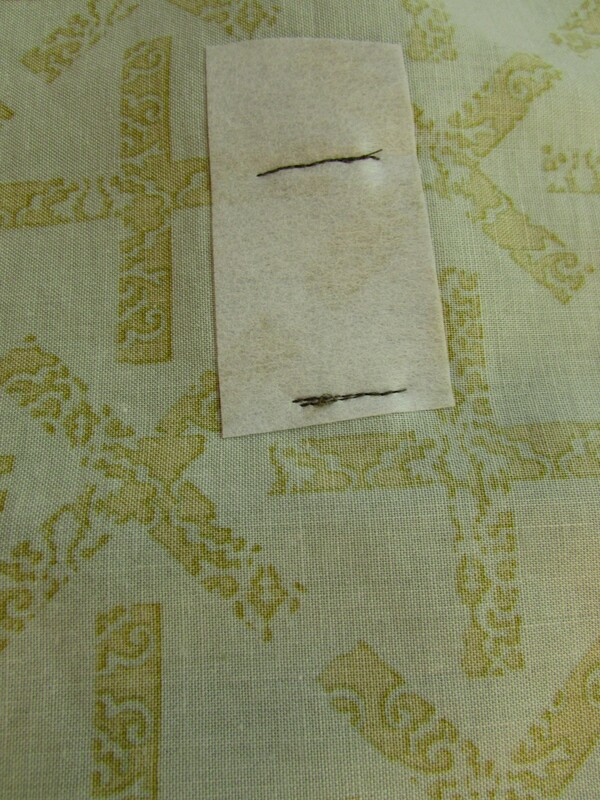 For the inside, I added one of my Needle and Foot labels. I have just a few left as I normally put these on product that goes into my Etsy shop. Finally, I made a little attachment to hang a key chain holder. I love these little guys; saves so much time not having to hunt to the bottom of your bag to find your keys. There is a coordinating key fob in the works. Because there will be a bit of tugging each time the keys are hooked and unhooked, I fused some stabilizer to the back for support. 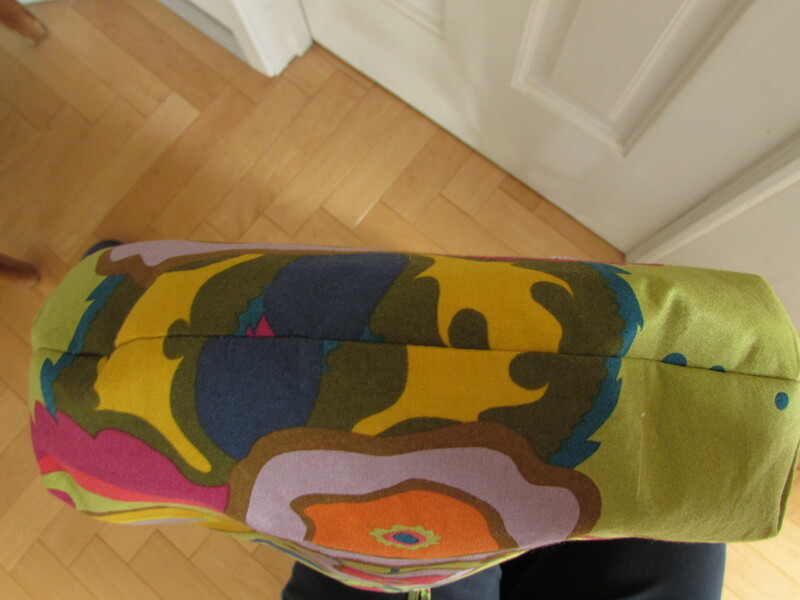 The lining portion of the purse and the shoulder strap should go together quickly. I’m pretty excited about the whole thing and have a feeling I will make another one for myself. .What a great project this has been. I am going to have to find another fun sewalong/quiltalong type of activity after this. 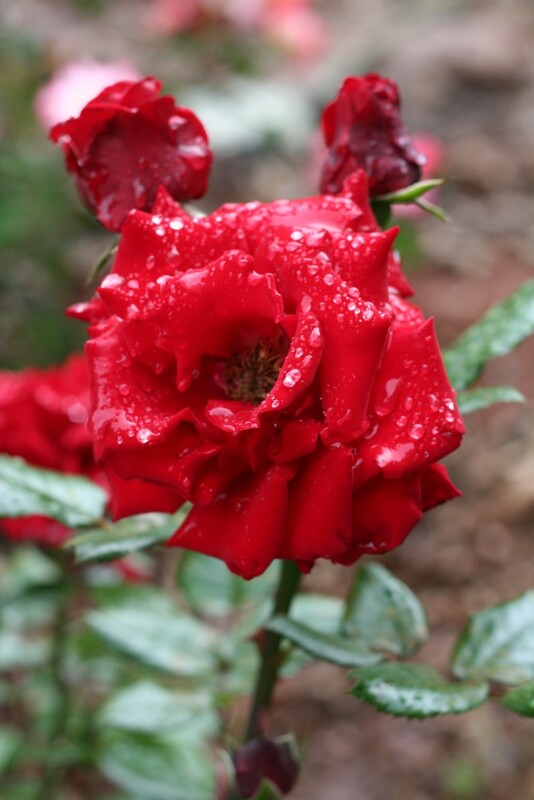 If you have a minute, check out Tami’s progress. 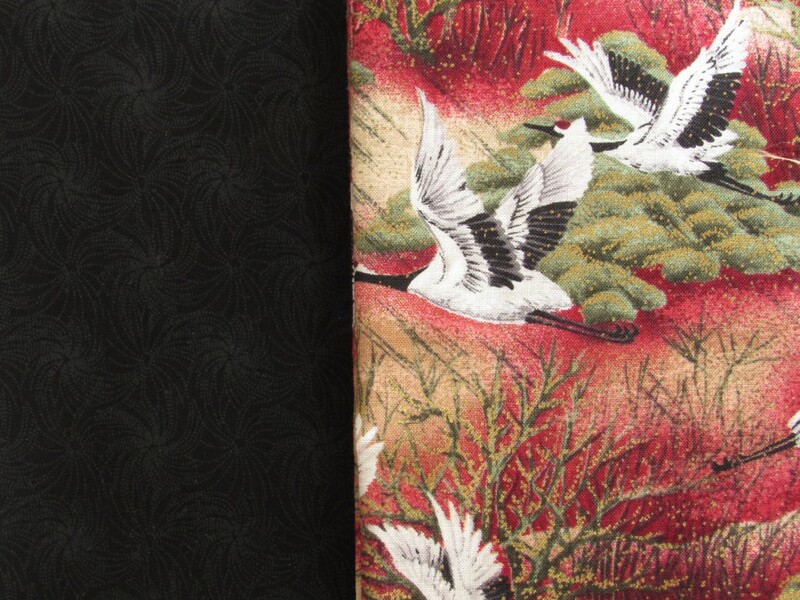 Seeing the same pattern come together in two very different colorways is very interesting. They each look very unique. 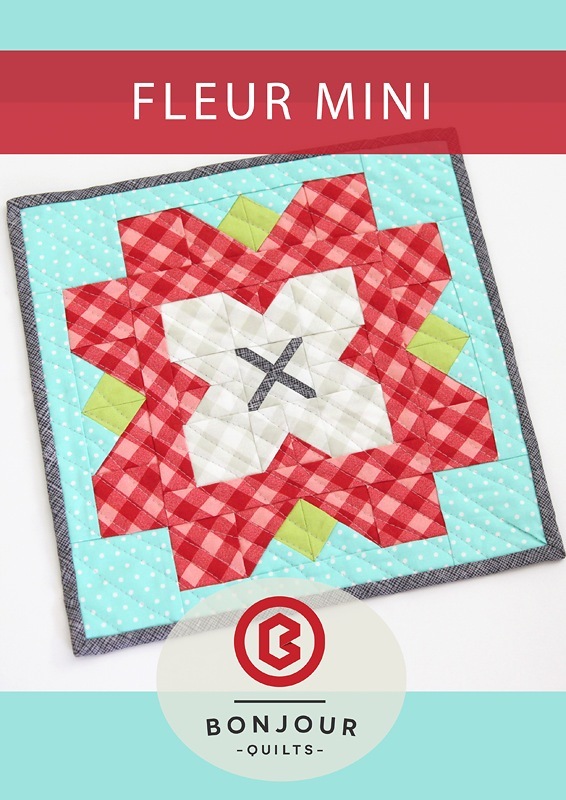 Linking to Linky Tuesday, Let’s Bee Social and Sew Cute Tuesday! All links are found as always, at the top of the page, under Link Ups. 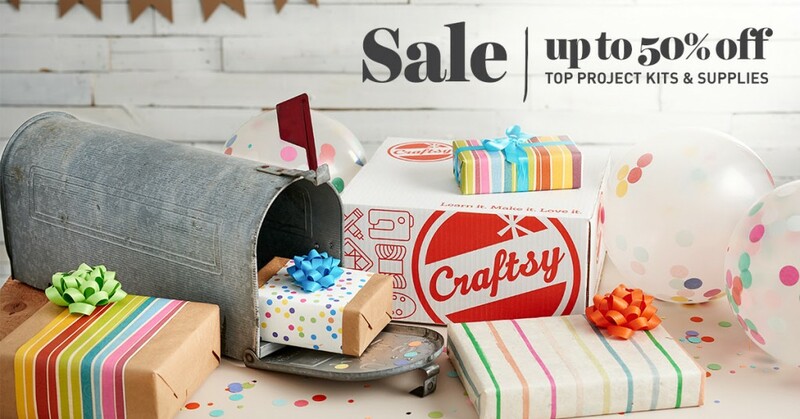 Craftsy Update: In celebration of their 5th anniversary, Craftsy will hold a great sale of kits and supplies running May 12th through the 15th. Check it out here! This entry was posted in Kindness & Community, Sewing Projects and tagged 241 tote, allison glass field day, key chain hook, noodlehead, sew much for free time, sewalong, tote bag sewing on May 9, 2016 by Bernie. 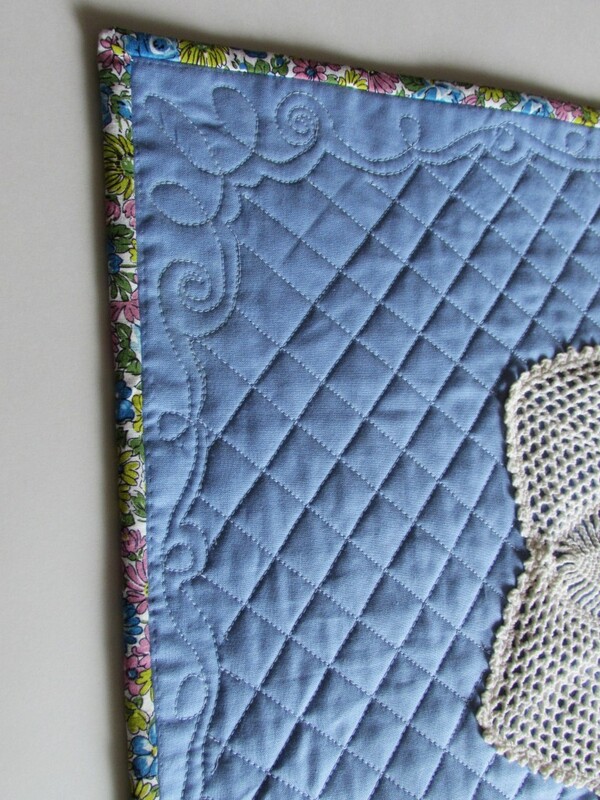 Remember the tale of the quilter who needed a piece of velcro and her ensuing trips to Ben Franklins? As happened with “If You Give a Mouse a Cookie”, there is a sequel which must be shared. After the success of Laura Numeroff’s first book , the sequels began popping up with regularity. There was “If You Give a Moose a Muffin” and “If You Give a Pig a Pancake” among others. 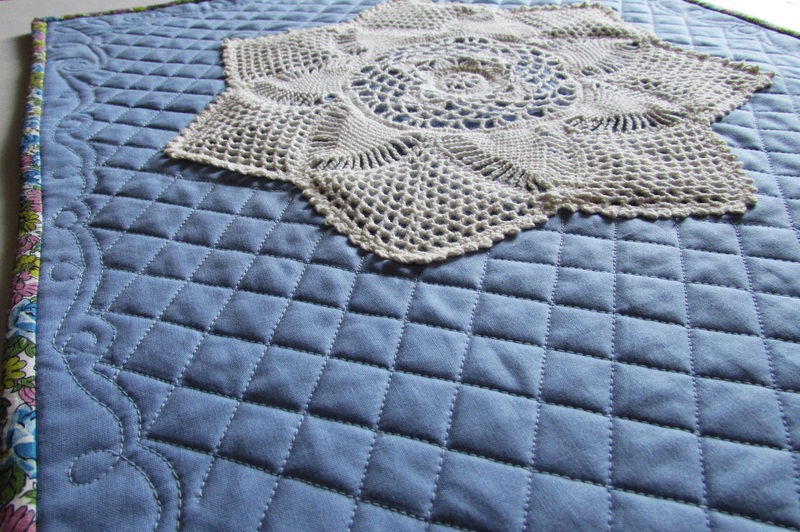 Here is the next chapter to my story, If You Give a Quilter a Bargain. 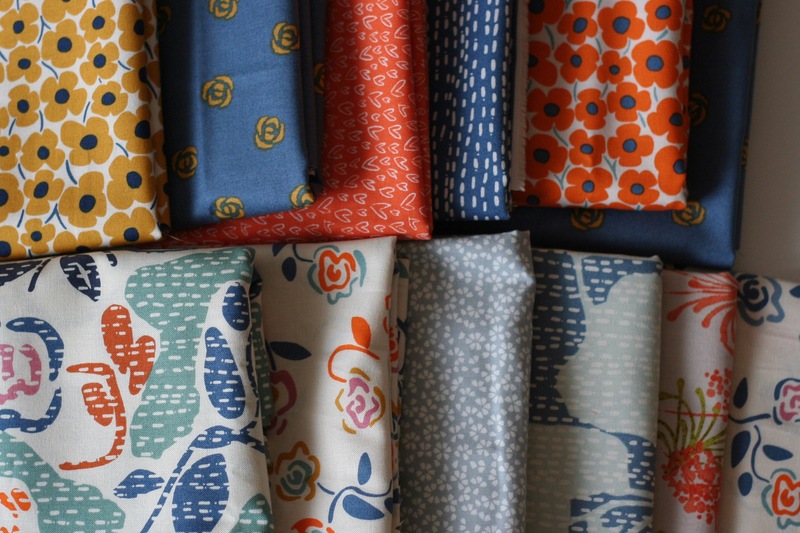 At the end of the first chapter of this story, you might remember that this quilter had returned to Ben Franklin to pick up a piece of Allison Glass fabric to add to the pile being used to make a 241 totebag. While there, an amazing discovery was made where the whole Asuka line by Dear Stella was found on the $5.99 table. I thought that was where the story would end. But no, it was not to be. 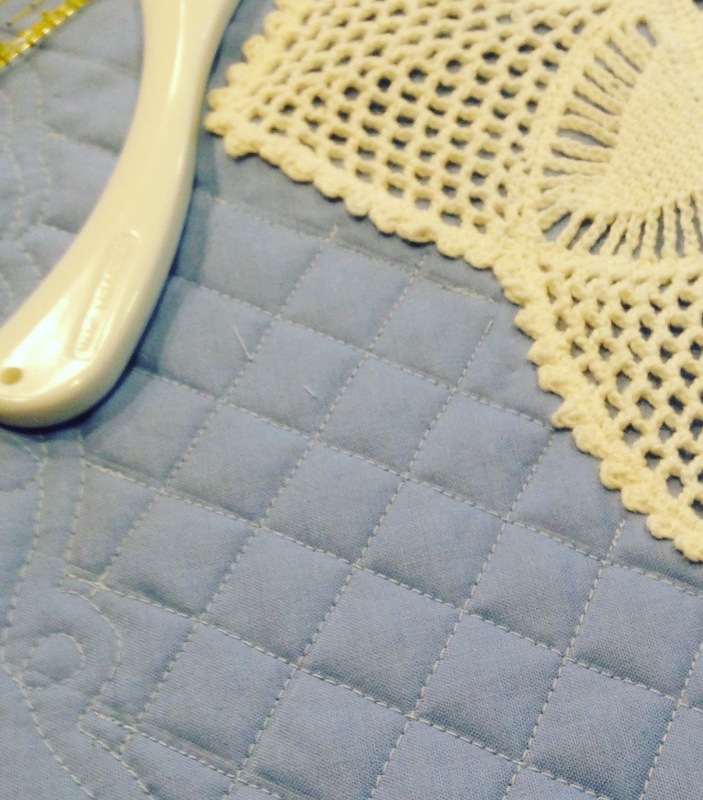 Last week the May is for Maker’s challenge was brought to the forefront of the quilty blogger community and everyone was joyfully diving in to buy patterns designed by individual makers (as opposed to those working for large companies.) 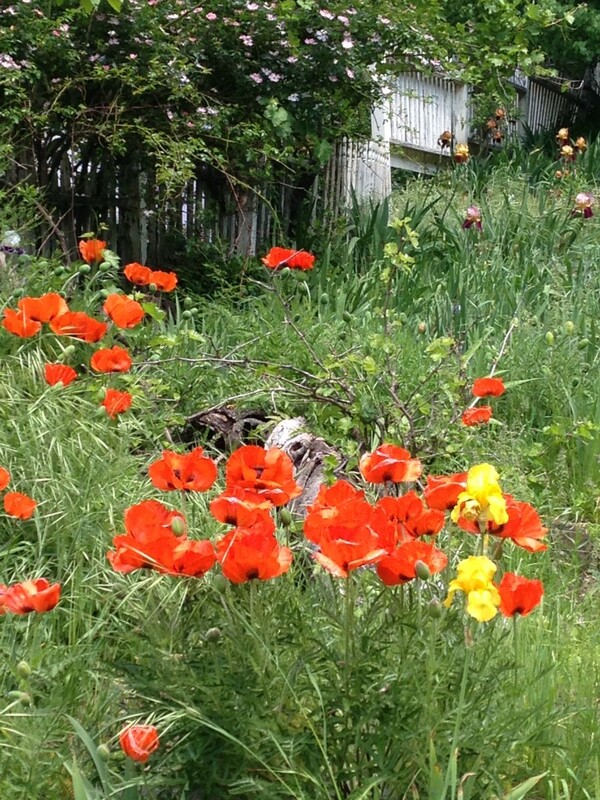 This blogger happens to love a good cause. Especially a cause that is supported by shopping. 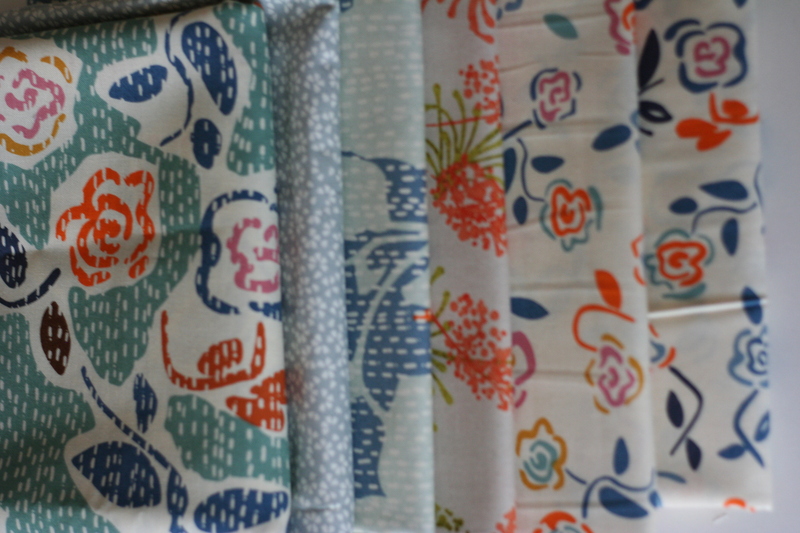 In my related post last week, I stated that I would buy a pattern to use to make a quilt with the Dear Stella fabric. It took a lot of shopping to finally settle on the pattern I wanted to make. 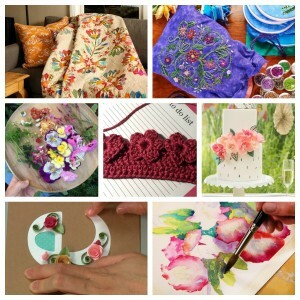 There are endless numbers of gorgeous patterns to be had on Etsy and Craftsy both. So many great designs that it was very hard to choose. 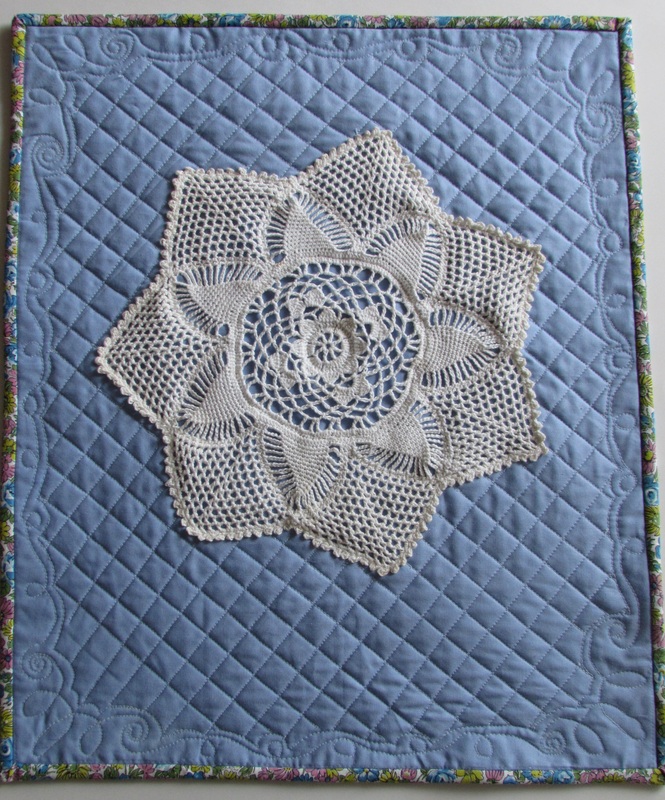 I started looking at the blogs of my favorite quilters who also sold patterns. I did web searches. I went to my lovely Etsy shopping app and my Craftsy shopping app. Finally I had to just put away my iPad to let my brain settle down, knowing that once I did so, the right pattern would rise to the top of the frenzy. It did. Here it is; Courtyard Tiles by Kelly Young of My Quilt Infatuation. One of my parameters for choosing a pattern was that it have a large scale design because some of the Asuka pieces have large focus prints. Also, because I am making this for a queen size bed, I didn’t want to piece something too fussy with loads of points to match, angles to cut, etc. 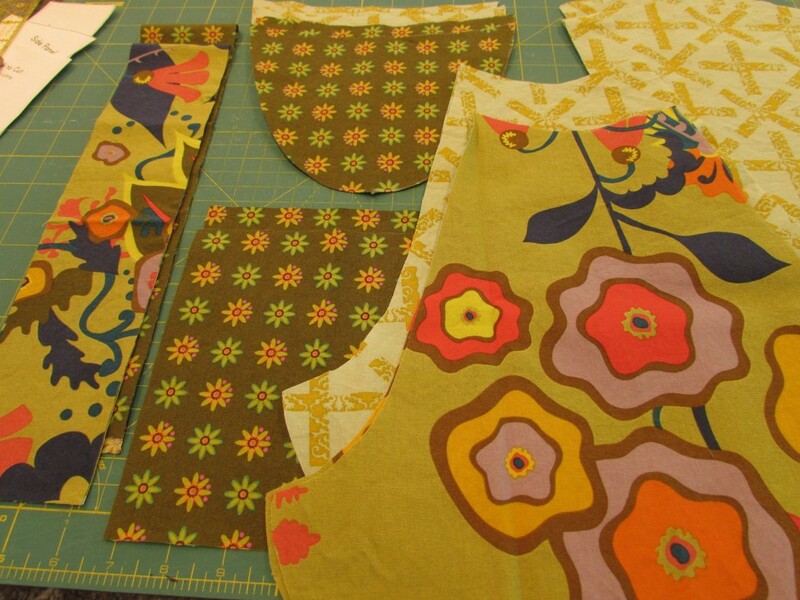 This pattern will be great from both angles – not a lot of fussy piecing, and plenty of room for the fabrics to shine. I love that the blocks give an impression of a curve but really they are pieced with rectangles and small triangles to create that curved look. Here is where the saga continues. Looking at the requirements for the queen size, I found I needed another 1.5 yards. Yep, I had to go back to Ben Franklin’s. Fortunately for this shopper, there were still a few pieces of the Asuka line left. There were also a few pieces of Dear Stella that coordinated with the Asuka line. No longer were they all stacked together nice and neat. 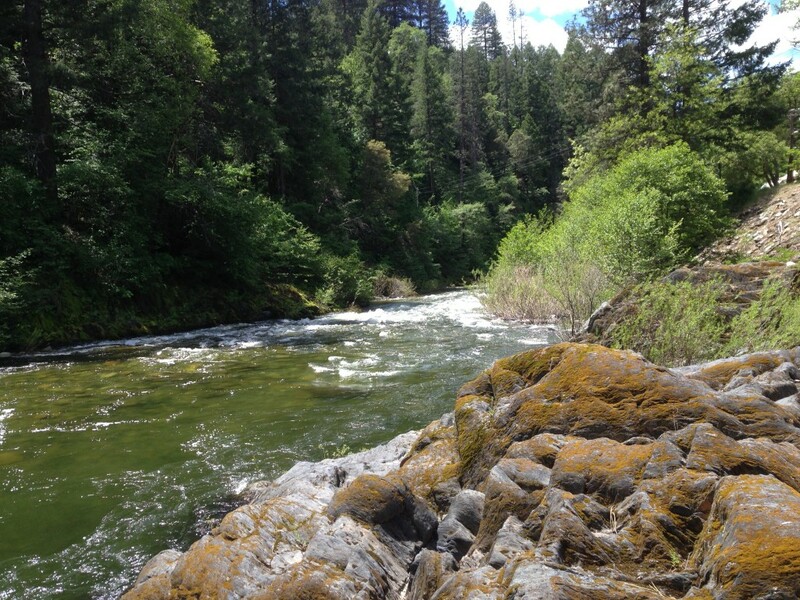 That’s ok – the thrill of the hunt makes it that much more satisfying. I started searching. I found several pieces that I had not purchased during my last trip. 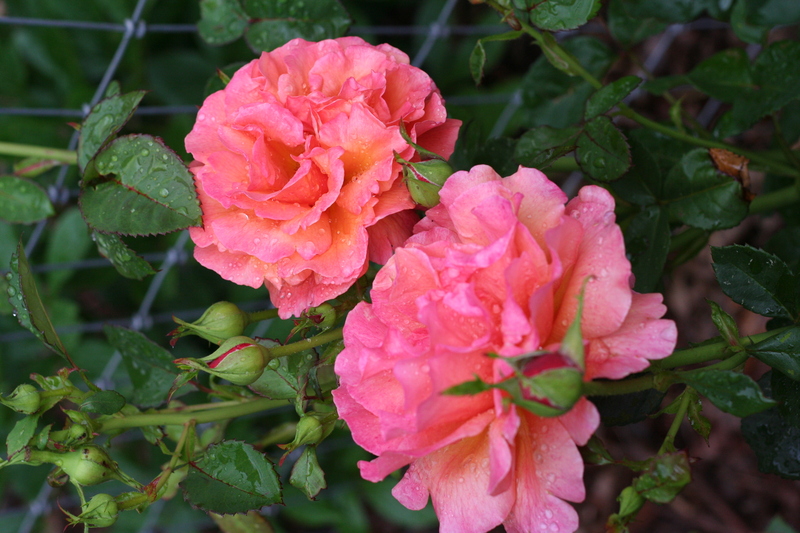 The orange flowers with the blue centers, the larger scale print (on the bottom to the far left) and the gray dot (on the bottom, middle of the row). I also bought a bit more of two pieces that I already had. I have enough of the print fabrics to begin piecing the quilt. I have not yet purchased the background fabric. I can’t decide what color I want to use. Currently, the choice is between a very pale gray or a crisp white. My decision is complicated by the fact that some of these fabrics show a creamy white and others have a very crisp white. Oh, how I struggle with color! If you have any input, I would appreciate hearing your thoughts. Of course, I would be lying if I said this was the end of my story. 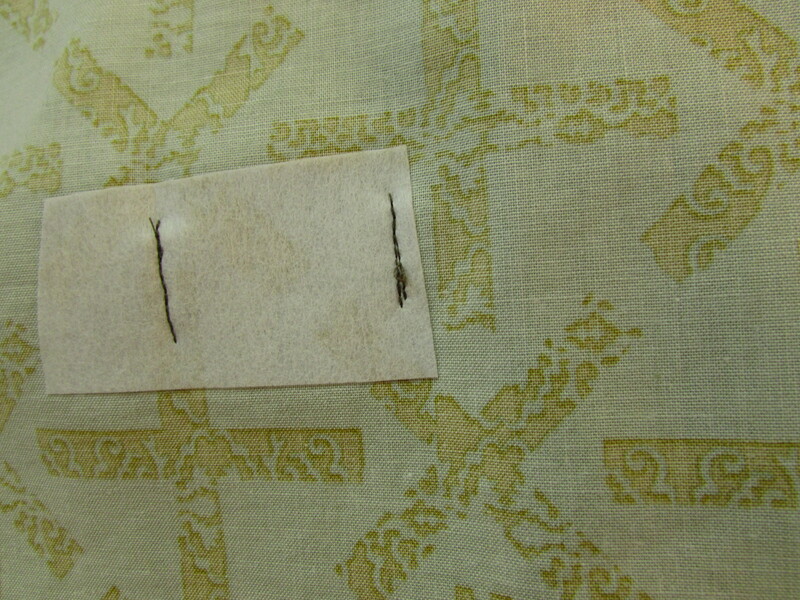 Once the decision is made about the background fabric, there is still the backing fabric and the binding to be selected. No, this story has only just begun. I am excited to get going on it, but first I need to finish up a few projects that are close to completion. 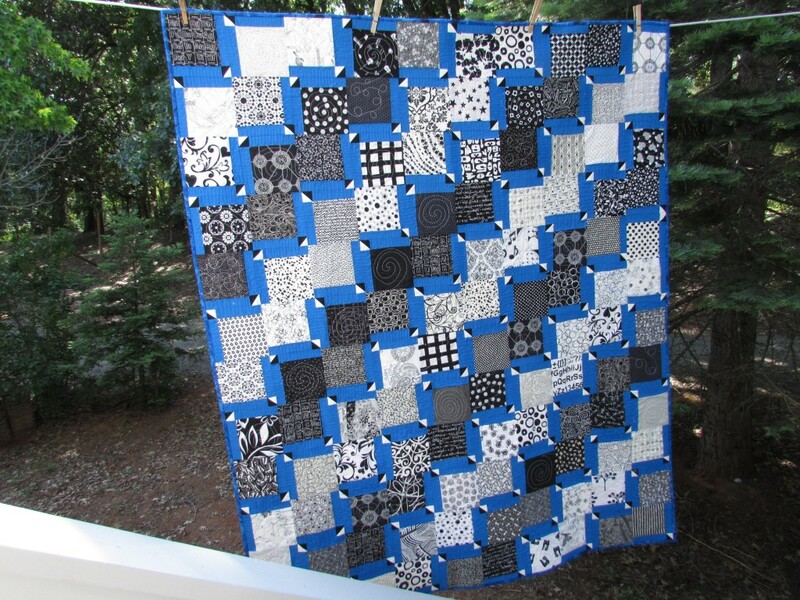 This entry was posted in Stash and tagged asuka fabric, courtyard tiles quilt pattern, dear stella, sunday stash on May 8, 2016 by Bernie.